I love the little bee on this card. This particular bee was on one of the Petite Perks sets that I give to hostesses for hosting a gathering in their home. A little liquid glass gives him dimension and makes his wings bend upward adding to the appearance of flight. Our set "Bee Happy" is great for this also. 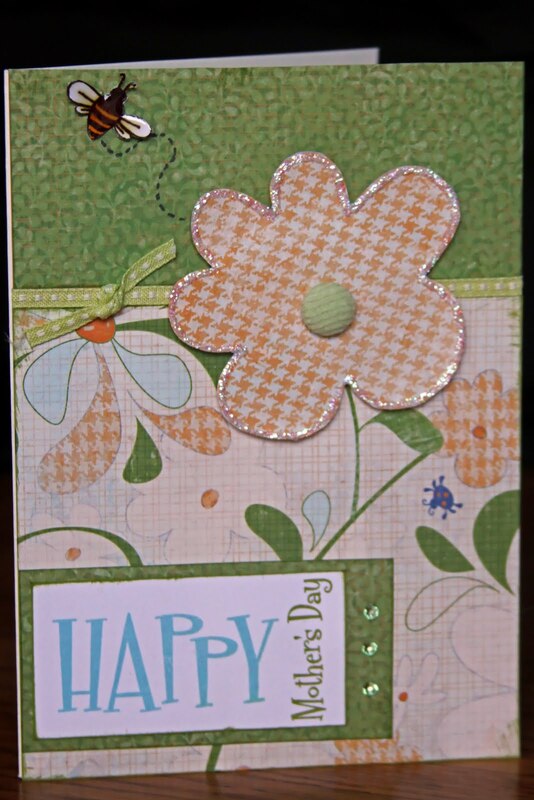 Donna Davis used "A Little Buzz" to make a card .... cut the wings out separately and added a little Glitz Glitter Glue to them for a similar effect. 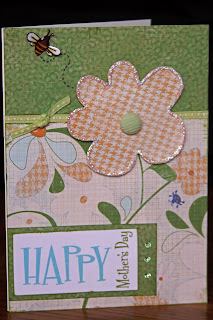 You can check out this card on her blog. In fact, you should check out her blog for sure at http://comopark1886.blogspot.com/. She's very talented and has many fantastic cards and scrapbook pages posted. I like to check it out often for inspiration. This month's special is a fantastic one! You can purchase the beautiful You and Me kit for its retail value of $34.95 or get it discounted for only $15 by purchasing other products. This kit includes a very versatile stamp set which by itself is valued at $22.95 along with all you need to create two beautiful two-page layouts with embellishments, including instructions. Contact me for all the details... I'll be posting my pages as soon as they are done. More artwork to come!